Who’s Ready to Upgrade their Free Purchase Order Software? We’re starting to roll-out the 2016 Release of SpendMap, version 14, including more than 30 new features and capabilities. We’re looking for a few “early adopters” to try out the new release before we make it available to the rest of the Free-Procurement community. So what do you say? Would you like to give v14 a try? The upgrade utility will bring forward all your data, history, settings, etc., so you will not lose any of your work in SpendMap. 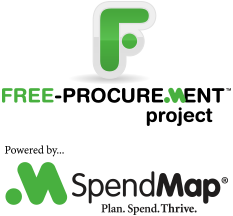 Please send an e-mail to free-procurement@spendmap.com and we will reply with instructions for upgrading your system. Yes. I am ready to try. *From:* The Free-Procurement Project [mailto:comment-reply@wordpress.com] *Sent:* Monday, March 7, 2016 1:43 PM *To:* cmishory@gocomax.com *Subject:* [New post] Who’s Ready to Upgrade their Free Purchase Order Software?